← Am I Permanently Barred from Ordination to the Priesthood? A: At first glance, this would appear to be a question with a straightforward answer. As was already seen in “Can Women be Ordained Priests?” and “Could the Pope Change the Law to Allow Women Priests?” the position of the Catholic Church, as articulated by Pope (and soon to be Saint) John Paul II, is that women cannot be ordained as priests. This is based on the historical fact that Jesus Christ freely chose only men, acting in persona Christi, to minister to the faithful. Thus, from the very beginning of the Church, Christ made being male a criterion for becoming a priest, and the Church cannot change what Christ Himself deliberately established. But it has correctly been noted that when John Paul II asserted in Ordinatio Sacerdotalis that “the Church has no authority whatsoever to confer priestly ordination on women,” he carefully confined this restriction to the priesthood. Ordination to the diaconate was not mentioned, and to this day it remains an open question. Canonically, if any woman wanted to be ordained a deacon today, the law is perfectly clear: canon 1024 states that only a baptized male can validly receive the sacrament of ordination. The wording of the canon indicates that this exclusion of women pertains to ordination to the diaconate as well as to the priesthood. Under current law, therefore, any woman who went through the diaconal ordination ceremony would not be validly ordained, period. But the question remains, could the law be changed at some point in the future, to permit the ordination of women as deacons? Canon law, of course, can only be changed by the Pope himself, who is the Supreme Legislator. 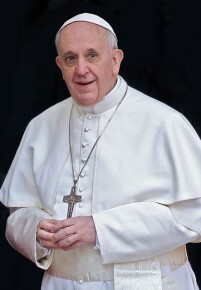 As was discussed in detail in “Are There Any Limitations on the Power of the Pope?” if the Pope were to conclude that the current prohibition on the ordination of women to the diaconate were of divine law, he would be unable to change it. This is the fundamental reason why Pope John Paul II stated that he could not alter the Church’s ban on ordaining women priests. But if the Holy Father determined that the reservation of the diaconate only to men is a merely human law, established by church officials solely on their own initiative, Pope Francis could (if he so chose) rewrite the law, end the ban and permit female deacons (a.k.a. deaconesses). A big argument that is often used in support of women’s ordination to the diaconate is the undeniable historical fact that deaconesses existed in the early Church. After all, if women were being ordained deaconesses in the first centuries of Christianity, it certainly sounds like the male-only diaconate must be a later innovation, right? And since there is historical precedent for deaconesses (so the argument goes), it’s possible for the Church to change its mind and ordain women to the diaconate today. In reality, however, the historical evidence is much more ambiguous than it seems at first glance, and for several reasons. First of all, when church documents from the earliest centuries A.D. mention “deaconesses,” did the word mean what we understand it to mean today? In other words, was a deaconess actually a member of the clergy? These are not new questions: scholars have already been examining the evidence and debating these issues for generations. One of the strongest pieces of evidence regarding the presence of deaconesses in the early Church is found in a Syrian collection of church rules and instructions dating from about 380 A.D., known as the Apostolic Constitutions. Among many other things, they contain instructions for the ordination of a deaconess by a bishop (VIII 19-20). Here the term used is διακονίσσση, which is clearly the feminine version of the word “deacon” (the original Greek text can be read here). The same Apostolic Constitutions indicate that the role of deaconess developed for reasons of propriety: like men, adult women converted to Christianity and were baptized as adults, by immersion in the baptismal pool, where they were not fully clothed. References to “ordaining” a deaconess naturally lead one to conclude that these women were considered members of the clergy. But if that was so, then what are we to make of the contrary indication found in the Council of Nicaea, which had already taken place in 325 A.D.? Unlike the Apostolic Constitutions, which appear to have been a sort of instruction-manual for one region of the Christian world only, the Council of Nicaea was the first of the Ecumenical Councils, which by definition pertained to the entire Church. Canon XIX addresses the reception back into the true faith of the Paulianists, a repentant heretical group. In the course of discussing what to do with the ordained Paulianist clergy, the canon mentions deaconesses in passing, noting that “we mean by deaconesses such as have assumed the habit, but who, since they have no imposition of hands, are to be numbered only among the laity.” It’s possible, therefore, that the “ordination” of deaconesses in the Church in Syria actually constituted an abuse, which was subsequently corrected and thus died out. Secondly, there is a lot of confusion to this very day about the terminology used in various regions of the early Church, to describe the roles of women. Various Christian texts from the first centuries of the Church make references to “widows,” to “deaconesses,” and even to “priestesses” (πρεσβύτιδες, which were explicitly forbidden by Canon XI of the local Council of Laodicea in the mid-300’s A.D.). For some centuries, reputable patristics scholars have struggled vainly to determine whether or not any of these terms were synonymous; but about the only thing we can be sure of is that the existing evidence is inconsistent and sometimes even self-contradictory. Whether they were ordained clerics or not, in 411 A.D., a local council in Orange, France, forbade deaconesses altogether (Canon XXVI). In the meantime, in most of the early Christian world—at least in the literature that survives today–there are no mentions of deaconesses at all, although there’s plenty of extant documentation discussing the ordination of male deacons, priests, and bishops. By this point the confusion about past praxis should be evident. One thing that everyone can agree on, however, is that wherever deaconesses did exist in the early Church, they died out relatively quickly. But why? It’s important to realize that since the early Christians were so careful to preserve the teachings and practices which were handed down to them, elements of the faith didn’t disappear randomly, without any reason. It may be that when adult baptisms became less common, and infant/child baptism became the norm, the practical need for women to minister to adult female converts in the baptismal pool gradually disappeared. It may also be that the concept of female ministers—whether ordained or not—came to be regarded in general as theologically unacceptable. After all, just because something was done for a brief period of time, in a single region of the Christian world, doesn’t mean that it was being done right! The ban on women in ministry, initially imposed in individual locales like Orange and Laodicea, may in fact have come to represent the prevailing understanding of the connection between “ministry” and “holy orders,” and an appreciation of the fact that not only did Christ Himself choose only men as the Church’s first clergy, but the Apostles chose only men to be the first deacons (Acts 6:3 ff). In other words, legal precedent is not automatically set whenever something is done by the Church in one region of the world. By way of example, consider the irrefutable fact that during the 1960’s, a diocesan bishop in then-Czechoslovakia “ordained” some women as “priests.” (See “Can Women be Ordained Priests?” for more on this.) Since it was (and still is) metaphysically impossible to ordain women to the priesthood, these “ordinations” were obviously invalid, and the women in question were decidedly not priests, regardless of what the bishop may have thought! This is a clear-cut case of an abuse, which fortunately does not appear to have spread outside this one diocese, and which even there was evidently an isolated incident. To suggest that it somehow “set a precedent” for women’s ordination to the priesthood is theologically and canonically absurd. Similarly, the presence of deaconesses in the Syrian Church for a relatively brief period of time cannot be considered automatically to set a precedent for the ordination of deaconesses throughout the entire Catholic Church today. That being said, it may theoretically be possible for the Church’s theological understanding of the diaconate to change, so that becoming a deacon no longer constitutes becoming a member of the clergy. After all, this is exactly what happened under Pope Paul VI to some of the minor orders, such as acolyte and lector, which in centuries gone by were equated with clergy. 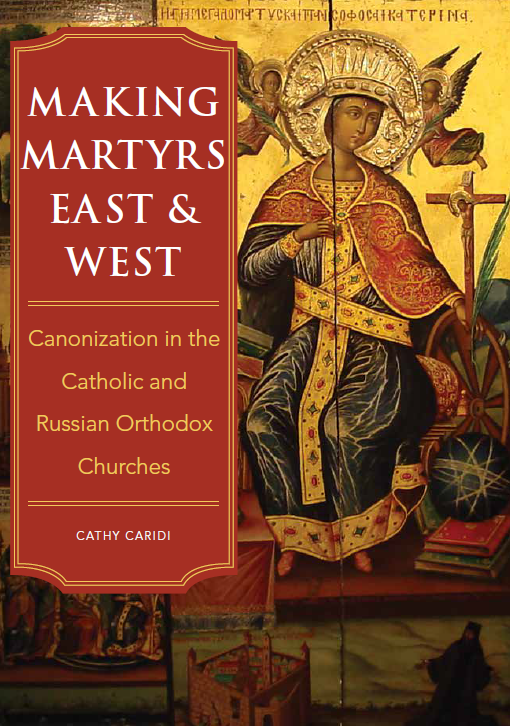 (See “Canon Law and Altar Girls” for a more in-depth discussion of this historical issue.) With Paul VI’s theological restructuring of holy orders in the 1960’s, including the complete elimination of some of the minor orders, women can now become lectors and acolytes—because these roles are no longer reserved only for clerics. There’s absolutely no reason to think that Pope Francis is considering doing this with the diaconate; but it’s not outside the realm of possibility in the future. By this point, it should be clear that while some women may want the Church to change its praxis and allow women to become deaconesses, they’re on thin ice when claiming that female deacons were ordained by the Church in its first centuries of existence. We have to remember that while the Church in one part of the world apparently permitted women to become deacons for a relatively short period of time, the practice died out for a reason. We Catholics believe that God is guiding His Church, and ending the existence of deaconesses might very well have been a part of His guidance. Special thanks to my former student who heroically hunted down many of the citations in this article. Gratias maximas tibi ago, Regule! This entry was posted in Clergy Issues and tagged canon law, Catholic, deaconess, women's ordination. Bookmark the permalink.